My apologies for not having done a Make-Up Thread since—eek!—last August! I can't even remember the last time I wore make-up, so I haven't had anything to post. And still don't, really! 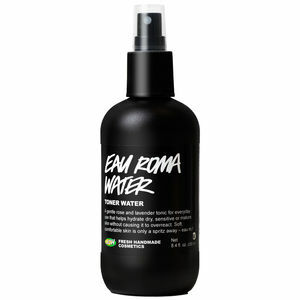 But, in make-up adjacent news, I recently purchased Lush's Eau Roma Water toner, and, although I've only used it a couple of times so far, I really like it a lot. I've never seen a toner in a spray before, and it's such a good idea! To be honest, I haven't even used the product long enough to know if it's making a meaningful difference for my skin, but it's so refreshing that I kind of don't even care, lol.